Agencies and individuals seeking professional PSD to WordPress conversion services may contact us and request a quote. We develop all of our websites completely from scratch. Also using a very minimal amount of plugins or extensions. This ensures each website is as lightweight as possible. Each website is developed to be mobile friendly, whether you supply a PSD mobile design file or not. We make sure every WordPress theme we develop comes standard with responsive development. WordPress themes from scratch – We do not use any bootstrap or frameworks. These frameworks come with a lot of overhead and can make websites lag or contain errors. Mobile Responsive – All of our themes are developed to be mobile friendly. Even if you do not supply a mobile responsive design. Blazing fast webpages – We minify all of our code and reframe from using heavy libraries such as jQuery. This makes sure the final product loads extremely fast. Themes built the “WordPress way” – We are constantly reviewing and monitoring the WordPress codex to ensure we’re building all of our themes the proper way. Doing so allows smooth upgrades with new WordPress core releases. Easily extendable – Many of our clients have came back to us years later to extend their current website with new ideas and features for their WordPress site. We make each website easily extendable by using functional programming and a modular architecture. Fully Customizable – Every WordPress theme we develop has full capabilities for our clients to control. This includes all of the content, menus, images, and more from within the WordPress panel. We’ve developed many very complex projects including custom directory listings with built-in import tools. Simple or Complex websites – A view of our portfolio will show you that we are no amateurs with WordPress. We have developed over 200 completely custom WordPress themes. Some including very complex development. Kick-off – First we’ll have a project kick-off meeting where we will go over the website, any special development requirements you need. Then we will provide you with a detailed estimate. Development – Once you have approved our estimate, we will begin developing the site on our in-house development server. Once we are finished with development all content insertion will begin. Review – At a certain point in the project when it is ready for your review, we will send you a dedicated link so that you can view the project. 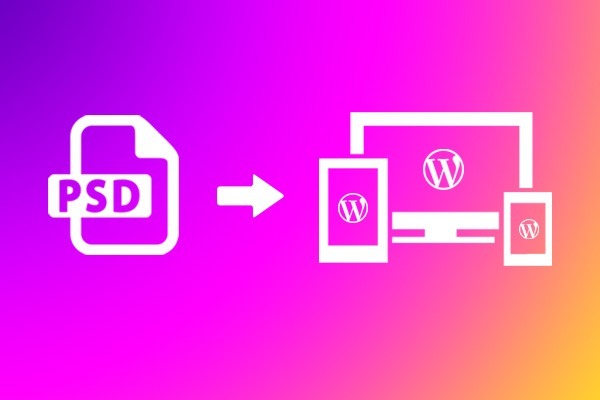 With this link you can log into the back-end of the website to review all aspects of your custom PSD to WordPress converted website. Deployment – Once the site is complete and reviewed by your agency and/or the client, we will deploy the website on the live server of your choice. Alternatively we will send you the theme files and SQL database. Hosting & Maintenance (optional) – We also provide ongoing WordPress hosting maintenance at a discounted rate to our agency partners. Contact us to find out more about this service. In addition to our PSD to WordPress conversion services, we have the capabilities to develop a custom WordPress plugin that can be used on multiple websites. Contact a Web Design of York representative today about our PSD to WordPress conversion services. Simply send us an email with your WordPress PSD or other media file in PDF or image format. Then we will review the file and reply back to you with a detailed quote on what it would cost for us to convert your design to WordPress.